Year of the Coava – Dear Coffee, I Love You. I want to start the new year by celebrating a coffee company that everyone should be watching in 2011—especially if you missed what they’ve been up to in 2010. 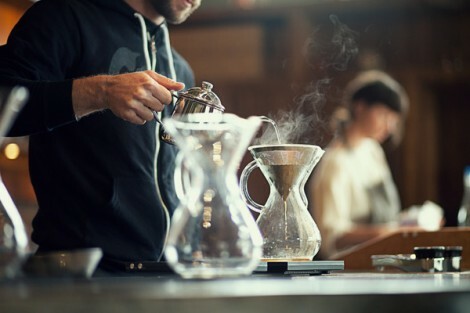 Coava Coffee (pronounced “ko-vuh”), is a small company in Portland Oregon that’s already made big news in the coffee world and aren’t slowing down anytime soon. Matt Higgins began Coava in 2009 and just a year ago, in January 2010, he was joined by best friend Keith Gehrke. 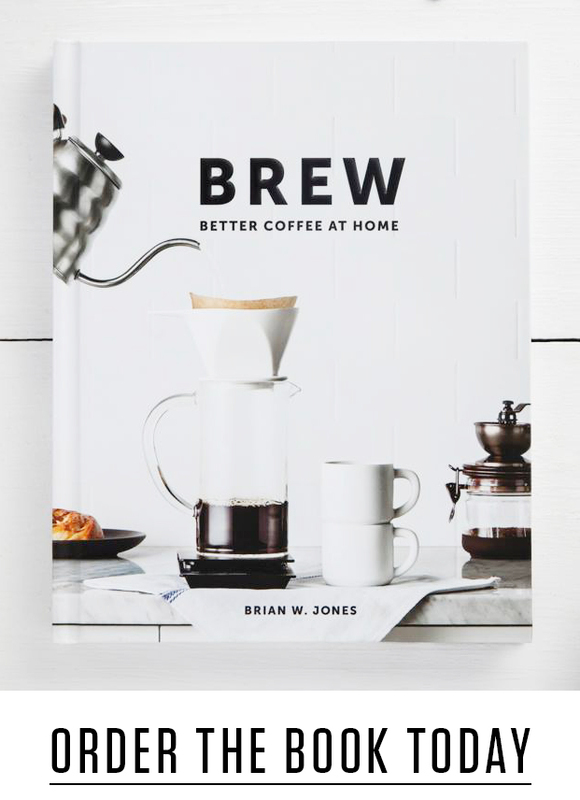 In the last year, the duo have opened one of the most beautiful coffee bars I’ve ever seen, had over 25 coffees rated 90+ on Coffee Review, developed a stainless steel Chemex filter called the Kone, followed by its cousin—the Disk— for the AeroPress. On January 1, Coava leaked photos of the latest gem to emerge from their lab—the Kone Funnel—a full immersion glass brewer that looks like part clever coffee dripper, part homemade beer-bong, and part chemistry lab. 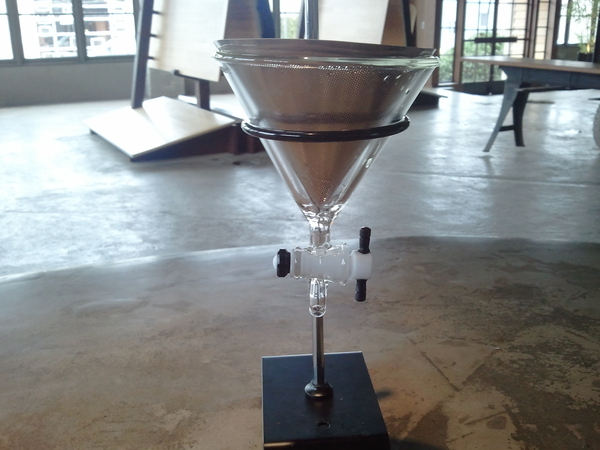 This latest creation uses a Kone filter inside of a glass funnel that’s equipped with a stopper. The stopper will allow a controlled release of coffee ranging from 10 seconds to 3 minutes depending on the brew variables. The official launch date is January 18th at the La Marzocco Out of the Box event, so expect a follow-up with more details in the future. I visited Coava in November and got to experience the passion these guys have for coffee first hand. Though Keith was busy, I met Matt, who treated me to a nice shot of their Costa Rican Helsar and soon began talking more like an engineer than a barista, as he explained a bit about the process behind the Kone. It was immediately discernible that Matt loved what he’s doing—so much that he’s even begun growing coffee in his basement to learn more about the process and hone his green coffee buying skills. Now that’s dedication. The simplicity of Coava’s space is complimented by the finesse of the craft that went into building it out. The counter is generous and low, allowing a nice view of their single origin offerings as they’re brewed with a Chemex and Kone. 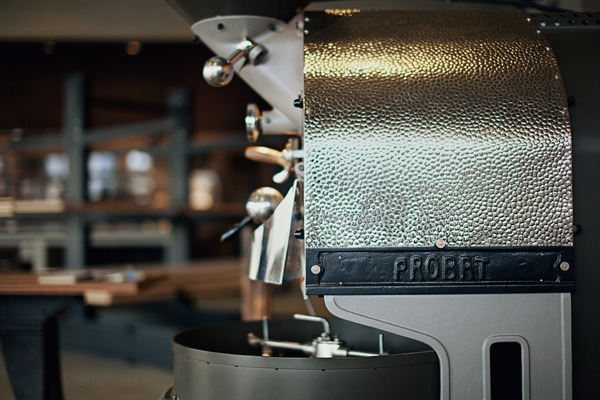 A restored Probat sits just past the end of the counter, offering a public view of the roasting process and seating spreads throughout a large showroom shared with a Bamboo fabrication studio. Old drill presses and prototype furniture double as tables and industrial decoration, making the space feel raw but functional. If I could call any local cafe my own, this would be it. 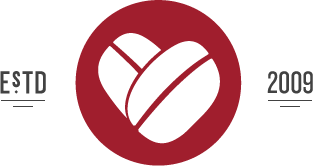 Check out Coava and keep an eye on them as they continue contributing great things to the coffee industry this year. UPDATE: As a part of the continuing Year of the Coava coverage I wanted to announce that representatives from Coava Coffee, Sam Purvis and Devin Chapman, have just swept the Northwest Regional Barista Competition and Brewers Cup, respectively. They will both move on to the United States Barista Championship this April in Houston. Congrats on the win! Read an interview with Sam Purvis on Willamette Week. Hometown heroes! Always good to hear about Portland people doing what they love and making it work. Thanks for this post, Brian! Haven’t tried Coava but Coffee Review doesn’t mean much. There’s a new roaster in San Diego that garnered a couple of 92-point reviews…and let me tell you, the beans (at the very least the batches that I got) were not all that. Then again, I’m spoiled as heck when it comes to coffee. I know Coffee Review isn’t the end all be all, but I’ve tried it myself and they’re definitely playing at the top. I am not a huge fan of Coffee Review but it is a good way to introduce yourself to some good roasters you may not otherwise go to. Just click a name go to their website and use that as a good reference. 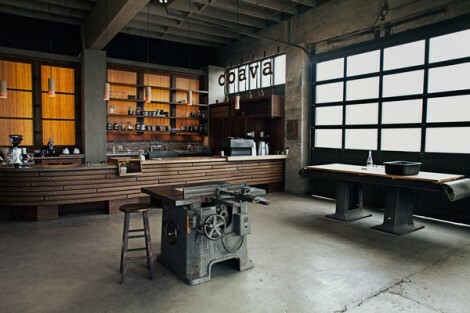 For example, you can tell Coava truly is dedicated to quality coffee just by browsing there website. Then there are others on there that are obviously not dedicated to such quality. Just got to use your own desecration i suppose.